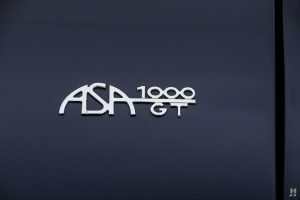 This exquisite 1965 ASA 1000 Spider is one of just seven known survivors from a production run of only fourteen open-topped cars. 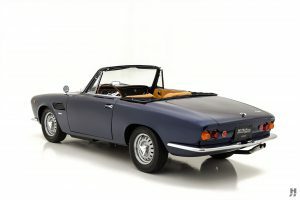 The delectable Spider version of the ASA Mille debuted at the Turin Motor Show in 1963. The Bertone family resemblance to the GT sibling was evident, however, the Spider differed significantly in specification. For starters, the chassis was completely different. While still a Giotto Bizzarrini design, the Spider’s multi-tube backbone frame was completely different from the coupe’s traditional oval tube style frame. Suspension components were shared between the two cars, although the Spider used wider, 13 x 4.5-inch wheels all around. 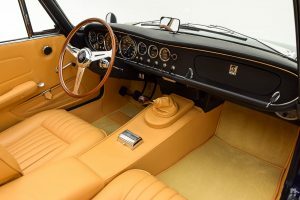 The body looked the same as the Coupe; however, it was built entirely in high-quality, lightweight fiberglass by Corbetta in Italy. 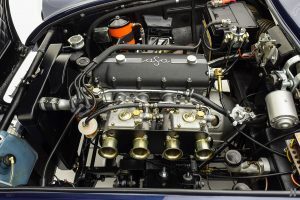 The jewel-like engine, 4-wheel disc brakes, and four-speed overdrive gearbox remained unchanged. Thanks to the construction, the Spider weighed just 780 kg. The lovely little ASA Spider hit the market at the same price as the coupe, and despite its undeniable beauty, sales never took off. While reports vary, it is generally accepted that ASA produced only fourteen open-topped 1000 Spiders.